​Non-hydrogen peroxide over the counter (OTC) teeth whitening products have the potential to damage teeth and should be banned, according to a new pilot study. The study, the first of its kind, which selected five OTC whitening products from two major consumer outlets, Boots and Superdrug, set out to determine whether new non-hydrogen peroxide OTC products available in the UK are safe. The shock findings showed that some OTC products significantly reduced the hardness of the teeth whilst substantially damaging the surfaces of the teeth– all of which has the potential to induce dental sensitivity. Additionally, some of the non-hydrogen peroxide OTC products had less of a whitening effect on teeth than saline. This is concerning to consumers who are likely to invest time, effort and finance in such products and may be left with little or no change to the shade of their teeth. Traditional whitening agents i.e. carbamide peroxide (CP) and hydrogen peroxide (HP), have nearly 30 years of evidence to show the safety and efficacy of the products1,2,3whilst continuing to provide patients with a unique, minimally invasive treatment option to significantly whiten teeth. The rise of non-hydrogen peroxide over the counter (OTC) teeth whitening products has resulted from implementation of directive 2011/84/EU, which states that “Tooth whitening or bleaching products [containing concentrations] greater than 0.1 % or less than 6 % of H2O2 (Hydrogen peroxide), present or released [are] to be only sold to dental practitioners”4.As such OTC products in the United Kingdom can legally only contain less than 0.1% hydrogen peroxide, which is too low a concentration to induce significant whitening changes. As such, new alternative active ingredients, with no or little research have been developed to replace hydrogen peroxide. The active ingredient in three of the OTC products included in the study (i.e. Mr Blanc Teeth, Janina Ultra Whiteand Brilliant 5 minute kit) was sodium chlorite (SC) which liberates a small amount of chlorine dioxide (ClO2) in the presence of acid. Initial studies into products containing SC and ClO25,6 have suggested that these products significantly reduce the hardness of the teeth and increase the likeliness for future surface abrasions of the teeth. Further concerns with over the counter products are the risk of misuse, overuse and abuse because of their ‘DIY’ nature. As the products are purchased without prior dental professional consultation, pre-operative instructions are limited. Therefore, the importance of following product instructions is ultimately left to the patient’s discretion, increasing the chance of incorrect use and subsequent damage. Dr Joseph Greenwall-Cohen, the lead author of the study, explained: 'Not all bleaching products are the same and not all bleaching products are safe. 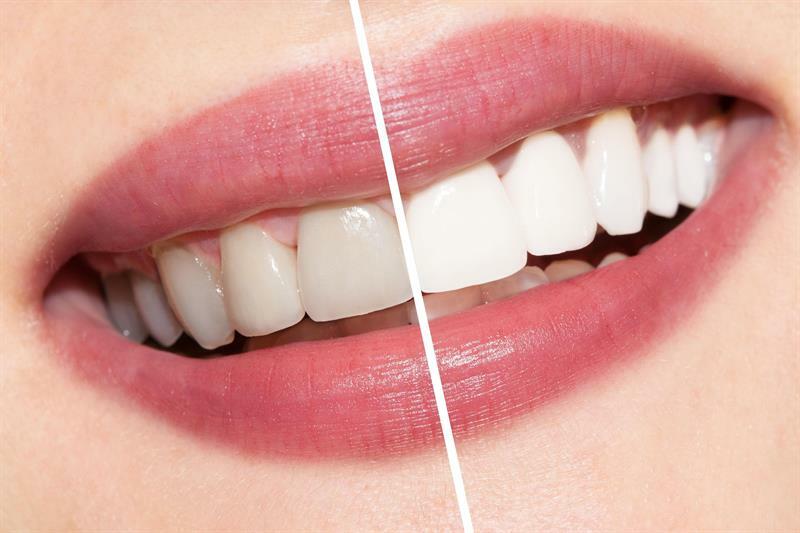 It is essential that the public realise this and undertake more caution in selecting the bleaching or whitening products they apply to their teeth. 'The lack of research and ease of availability of these products from major retailers is alarming and may potentially be harming the consumers’ dentition,' warned Dr Linda Greenwall, co-author of the study. This study also raises questions regarding EU Council Directive 2011/84/EU. Although banning of peroxide containing OTC products may have been necessary, it may not completely protect the public and further amendments to the council directive may still be required. The study is published today (22 February 2019) in the British Dental Journal. Patients are more likely to accept robotic dentistry for non-invasive procedures – particularly if it cuts costs.